Humite: Mineral information, data and localities. White, yellow, dark orange or brown. 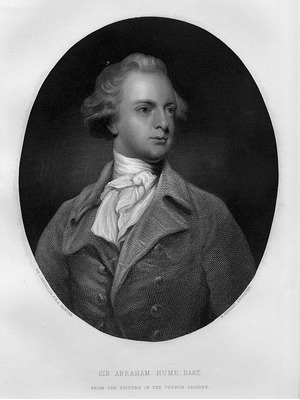 Named in 1813 by Jacques Louis, Comte de Bournon in honour of Sir Abraham Hume [February 20, 1749 London, England, UK – March 24, 1838 Wormley Bury. 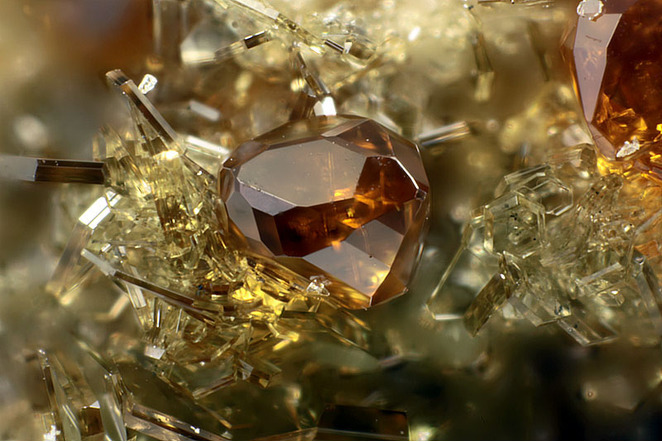 England, UK], English connoisseur and collector of gems, minerals and artwork. Visit gemdat.org for gemological information about Humite. Non-standard space-group setting Pbnm, data from Ribbe & Gibbs (1971). Spinel 12 photos of Humite associated with Spinel on mindat.org. Calcite 11 photos of Humite associated with Calcite on mindat.org. Phlogopite 7 photos of Humite associated with Phlogopite on mindat.org. Magnetite 7 photos of Humite associated with Magnetite on mindat.org. Chondrodite 3 photos of Humite associated with Chondrodite on mindat.org. Franklinite 3 photos of Humite associated with Franklinite on mindat.org. Diopside 2 photos of Humite associated with Diopside on mindat.org. Biotite 2 photos of Humite associated with Biotite on mindat.org. Sanidine 1 photo of Humite associated with Sanidine on mindat.org. Apatite 1 photo of Humite associated with Apatite on mindat.org. 17.1.4 Fluorapophyllite-(Na) NaCa4(Si8O20)F · 8H2O Orth. 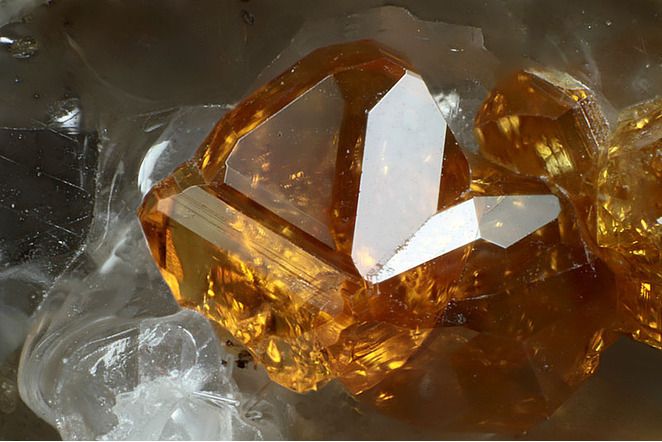 17.1.6 Hydroxyapophyllite-(K) KCa4(Si8O20)(OH,F) · 8H2O Tet. 17.1.16 Bultfonteinite Ca2(HSiO4)F · H2O Tric. 17.1.18 Rowlandite-(Y) (Y,Ce)4Fe2+(Si2O7)2F2 (?) Tric. Sometimes fluoresces weak pale-yellow in SW. May be confused with norbergite or chondrodite that may have a bright fluorescent response, but chondrodite does not always fluoresce. Ribbe, P.H., Gibbs, G.V. (1971): Crystal structures of the humite minerals: III. Mg/Fe ordering in humite and its relation to other ferromagnesian silicates. American Mineralogist, 56, 1155-1173. The following Humite specimens are currently listed for sale on minfind.com. Stephan Hoernes and Edgar Hoffer (1973): Der Amphibolitzug des mittleren Ötztales (Tirol). Veröffentlichungen des Tiroler Landesmuseums Ferdinandeum 53, 159-180. Souza Neto, J.A., Legrand, J.M., Volfinger, M., Pascal, M.-L., and Sonnet, P. (2008): Mineralium Deposita 43, 185-205. Tenney, D., 1994. The Whitehorse Copper Belt: Mining, Exploration and Geology (1967-1980). Geology Section, Yukon Region, Department of Indian and Northern Affairs, Bulletin 1, 29 p.
Jingwen Mao, Yongjun Shao, Guiqing Xie, Jiandong Zhang, and Yuchuan Chen (2009): Mineral Deposits 28(2), 109-119 XiaoQiuXiang (2012): The Alteration Characteristics and Mineralization in Dongguashan Copper-gold deposit and Hucun Copper-molybdenum deposit of Tongling, Anhui Province, Abstract. Master's thesis, Hafei Univerity of technology. Yuanming Pan and Ping Dong (1999): Ore Geology Reviews 15, 177-242. Jianwei Li, Xinfu Zhao, Meifu Zhou, Vasconcelos, P., Changqian Ma, Xiaodong Deng, de Souza, Z.S., Yongxin Zhao, and Gang Wu (2008): Mineralium Deposita 43, 315-336. Baogui Zhang (1996), In: Tu Guangzhi (Ed. ): Geochemistry of strata-bound deposits in China. Science Press (Beijing), 240-253. Arhe, Markku 1980. Iitin Perheniemen kalkkiivi-karsi esiintymästä ja sen ympäristön geologiasta. 155 s., 16 l. Geologian Tutkimuskeskus, arkistoraportti M/3111/-80/1/10. Hytönen,K. (1999): Suomen Mineraalit. Geologian tutkimuskeskus. Erillisjulkaisu, Jyväskylä, 399 pp. New, B. T. (2006). Controls of copper and gold distribution in the Kucing Liar deposit, Ertsberg mining district, West Papua, Indonesia (Doctoral dissertation, James Cook University). Carati M., 1982. Guida alla mineralogia vesuviana. Guide Calderini, Bologna. Soloviev, S. G. (2011). Geology, mineralization, and fluid Inclusion characteristics of the Kensu W-Mo skarn and Mo-W-Cu-Au alkalic porphyry deposit, Tien Shan, Kyrgyzstan. Economic Geology, 106(2), 193-222. Koneva A.A., Konev A.A., Vladykin N.V. (2010) Vein complex of the Biraya carbonatite deposit. in Abstracts of XXVII International conference School «Geochemistry of Alkaline rocks». – Moscow-Koktebel’. pp. 240 pp. Mills, S. J., Kartashov, P. M., Kampf, A. R., Konev, A. A., Koneva, A. A., & Raudsepp, M. (2012). 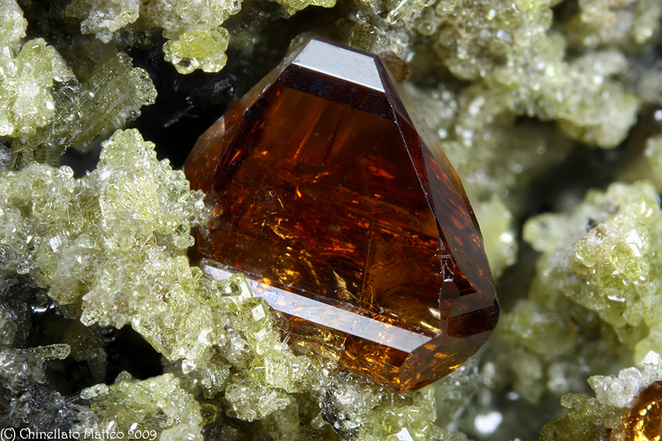 Cordylite-(La), A New Mineral Species In Fenite From The Biraya Fe–Ree Deposit, Irkutsk, Russia. The Canadian Mineralogist, 50(5), 1281-1290. Aleksandrov, S. M., & Troneva, M. A. (2009). Composition and genesis of endogenous borates from the Pitkáranta ore field, Karelia. Geochemistry International, 47(9), 914-929. Sharygin I.S., Golovin A.V. (2001) Origin of djerfisherite in mantle xenoliths and its relation to kimberlite magmatism. Abstracts of XXVII International conference School «Geochemistry of Alkaline rocks». – Moscow-Koktebel’. pp. 240 pp. ; Sharygin, V. V., Kamenetsky, V. S., & Kamenetsky, M. B. (2008). Potassium sulfides in kimberlite-hosted chloride–“nyerereite” and chloride clasts of Udachnaya-East pipe, Yakutia, Russia. The Canadian Mineralogist, 46(4), 1079-1095. Curras, J., Torres-Ruiz, J. (1992) El Skarn magnésico de magnetita-ludwigita del Cañuelo (Cordillras Béticas Occidentales). Boletín de la Sociedad Española de Mineralogía, 15:1, 319-322 (in Spanish). Laverov, N.P., Petrov, V.A., Poluektov, V.V., Nasimov, R.M., Hammer, J., Burmistrov, A.A., and Shchukin, S.I. (2008): Geology of Ore Deposits 50(5), 339-361. Jansson, N. F., Erismann, F., Lundstam, E., & Allen, R. L. (2013). Evolution of the paleoproterozoic volcanic-limestone-hydrothermal sediment succession and Zn-Pb-Ag and iron oxide deposits at Stollberg, Bergslagen Region, Sweden. Economic Geology, 108(2), 309-335. Imaña, M., Allen, R., & Barrett, T. (2005, January). Volcanic stratigraphy, chemical stratigraphy and alteration system of the Storliden massive sulphide deposit, Skellefte district, northern Sweden. In Mineral Deposit Research: Meeting the Global Challenge (pp. 627-630). Springer Berlin Heidelberg. ⓘ Green Monster Mountain ? Barton, M. D. (1987). Lithophile-element mineralization associated with Late Cretaceous two-mica granites in the Great Basin. Geology, 15(4), 337-340.; Barton, M. D. (2000). Overview of the lithophile-element-bearing magmatic hydrothermal system at Birch Creek. White Mountains, California: Society of Economic Geologists Guidebook Series, 32, 9-26. King & Foord, 1994. Mineralogy of Maine, Vol. 1., p.188. Shannon, E. V. (1923). Note on leuchtenbergite from Philipsburg, Montana. American Mineralogist, 8, 8-10. UGMS Bull 117 Minerals and Mineral Localities of Utah; Nolan, T.B., 1935, The Gold Hill Mining District, Utah: U.S. Geological Survey Professional Paper 177, 172 p.
UGMS Bull 117 Minerals and Mineral Localities of Utah; U.S. Geological Survey, 2005, Mineral Resources Data System: U.S. Geological Survey, Reston, Virginia. ; Nolan, T.B., 1935, The Gold Hill Mining District, Utah: U.S. Geological Survey Professional Paper 177, 172 p.
ⓘ Bemis Limestone Quarry ? Garnier, V., Giuliani, G., Ohnenstetter, D., Fallick, A.E., Dubessy, J., Banks, D., Vinh, H.Q., Lhomme, T., Maluski, H., Pêcher, A., Bakhsh, K.A., Long, P.V., Trinh, P.T., and Schwarz, D. (2008): Ore Geology Reviews 34, 169-191.